As a rule – the bigger the water the bigger the fish. You also need a bigger boat to go pursue your quarry. 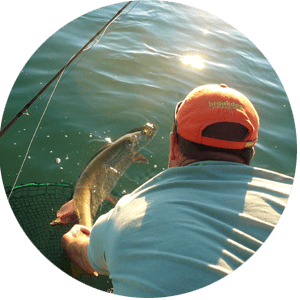 Charter fishing on Lake Erie, Lake Ontario, and the Niagara River routinely produces the fish of a lifetime . We have boats specifically designed for the task with the best electronics and comfort items to make time spent on the water something to remember. 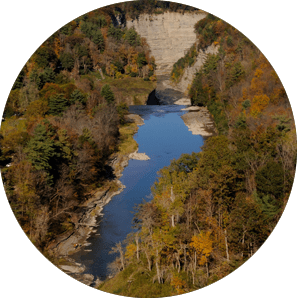 Being on “the River” or the Great Lakes is exciting – getting up on plane and blazing a trail through the water at high speeds will get your heart pumping and allow you to see the Buffalo Niagara Region from a different angle. It also allows us to adapt to changing conditions on the water quickly by moving to new locations thereby maximizing productivity on the water. Mornings and Evenings are the usually the best times of day to catch fish. We designed these chartered fishing trips to capitalize on these golden hours by being on the water during the high probability times. We get into position on those high probability drifts quickly and cast like crazy to maximize time. These trips are perfect for those anglers with limited time, a husband and wife looking for a little something different as an evening outing, or an exciting opportunity for someone in town on business looking for a way to occupy an early morning or evening. 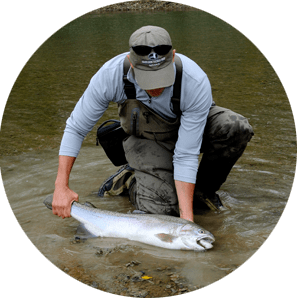 Similar logic as our walk and wade trips – Time is important in fishing. People want/need the full day on the water for a number of reasons. 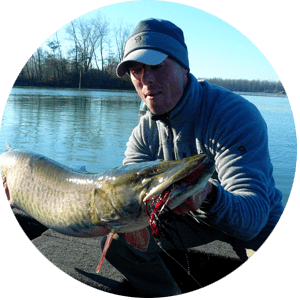 The effort an angler has to put forth is what makes the full day charter trips on the Niagara River, Lake Erie, or Lake Ontario different from our walk and wade trips. All you need to do is sit back and enjoy the ride. When we get to the fishing spot just stand up, cast, and have fun! A full day gives us plenty of time to explore, work numerous drifts, and chalk up multiple species. You’ll get a good dose of what the region has to offer.